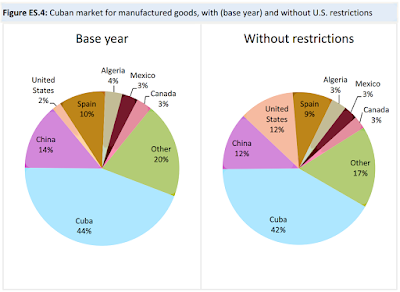 The Internet in Cuba: What is the effect U.S. trade restrictions on IT exports to Cuba? 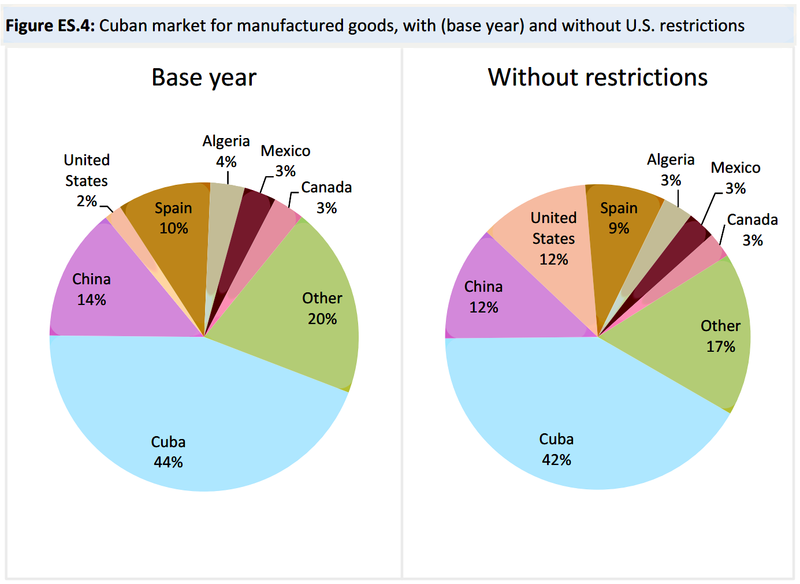 What is the effect U.S. trade restrictions on IT exports to Cuba? The Senate Finance Committee is researching the economic impact of U.S. embargo on trade with Cuba and I was asked to testify before the US International Trade Commission on the effects of the U.S. restrictions on our exports of telecommunication equipment and services to Cuba. I have a chance to revise the testimony, and would appreciate feedback. Click to download Word or PDF versions of the draft. 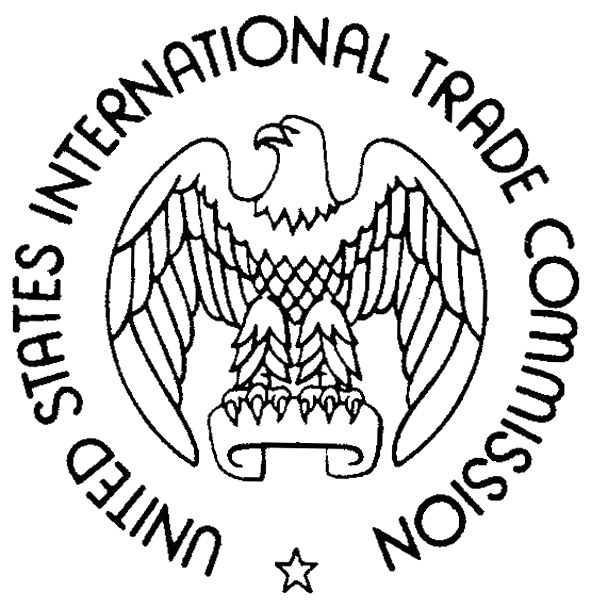 The Commission has asked for testimony on the effects of the U.S. trade restrictions on our telecommunication exports to Cuba. Since there is a great deal of uncertainty about the Cuban plans and policies and U.S. policy is also in a state of flux, I will lay out a framework for discussing the issue rather than attempting specific predictions. This framework can be modified and fleshed out by future research. I will focus on Internet-based telecommunications, which are subsuming traditional telephony. Some of these markets, for example, providing Internet infrastructure and service, are more severely impacted by U.S. restrictions than others. Web hosting service -- the reader is "middle man" for ten Web sites hosted in Canada and knows of many others. Specialized professional audio/video equipment that is only made in US, or were US products traditionally have much better quality. Examples include products from Avid, M-Audio and Alesis. Their products are sometimes bought by Cuban companies in third countries using a foreign nationals or foreign companies as middle man. Other times they have to settle for lower quality products from China or Europe. Specialized Software -- for example Oracle databases, which are pervasive in Cuba. 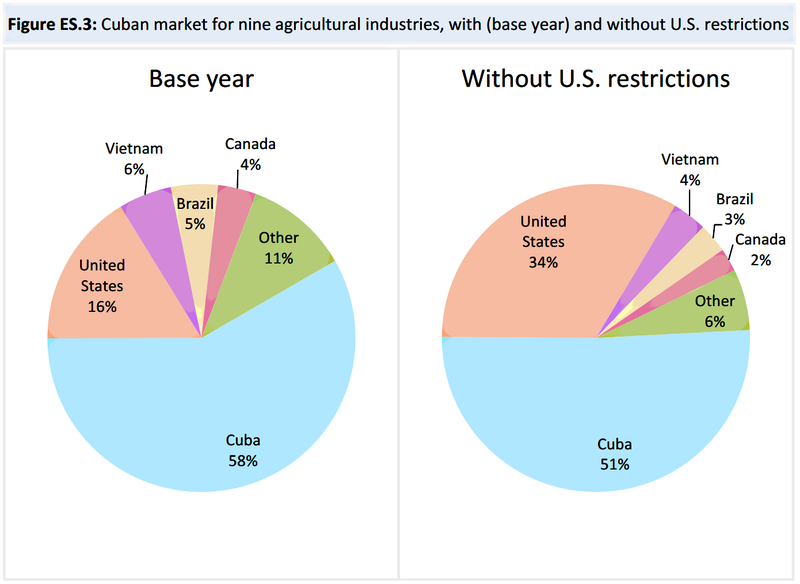 The reader went on to say that some US companies refuse to sell their products to Cuban even in foreign countries. For example Dell dealers refuse to sell laptops to people with Cuban passports in Madrid and Barcelona. Note that the specialized software is pirated, as is much of the software and content distributed in the weekly "paquete." Copyright infringement will be an issue in any discussion of liberalization of US trade policy. Also note that the medical and audio/video equipment is sold primarily to government enterprises, not private individuals or cooperatives. The ball is in Cuba's court, but I do not expect them to pick it up any time soon. Dreaming -- this would be a good time for ETECSA to experiment with satellite Internet as an interim measure. The anti-Castro Internet advocacy group Foundation for Human Rights in Cuba has suggested that the choice of Huawei for the home-access pilot in Old Havana was motivated by Huawei's expertise in censorship and surveillance. (The Old Havana pilot deployment is quite limited, but Huawei is also the equipment vendor for forthcoming DSL home connectivity and Cuba's WiFi hotpots). No not really. There are plenty of companies that offer products that can be used for surveillance and censorship -- see the usage of Blue Coat of Canada in Syria. Huawei is both inexpensive and not western. Those are probably bigger reasons. At The Economist event (last December) I spoke with the country manager (of a US firm) for Cuba and he said he was in the room for one of the main presentations from Huawei to ETECSA. He said Huawei had brought a dozen engineers and had put a lot of work into their proposal for a telecom build-out. Huawei wanted this deal very much. Huawei opened a Cuban office and began replacing Cisco routers 16 years ago and they, and other Chinese companies, have established strong relationships with Cuba. The US may have been the dominant supplier of Internet infrastructure and other IT equipment and services at one time, but companies like Huawei are now effective competitors. This was an unintended side-effect of the embargo, and it remains to be seen to what extent the US can recover. 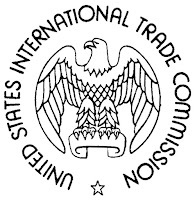 Last summer, I was invited by the US International Trade Commission (ITC) to testify on the likely impact of dropping US trade restrictions on the export of telecommunication equipment and services to Cuba. Others were invited to testify on other industries. I was unable to make it on the day of the hearings, but submitted written testimony and met with the ITC staff a couple weeks later when I was in Washington. Despite the underdeveloped nature of the Cuban telecommunication services market, and Cuba’s reported new receptiveness to investment in the sector, it is unlikely that U.S. carriers will enter the Cuban market for services beyond mobile roaming agreements and/or direct telephone services. The primary reasons for this reluctance include concerns that payments to the Cuban telecommunications provider (for connecting telephone calls in Cuba) will be garnished to satisfy judgments by winning plaintiffs in U.S. civil lawsuits against the Cuban government; Cuba’s longstanding ambivalence towards foreign investment in the telecom sector; and the small, low-income nature of the market. The entire report is 437 pages, including the executive summary. 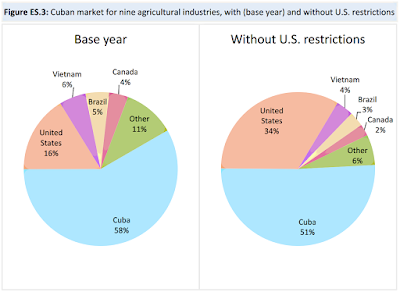 The one-sentence takeaway is that "U. S. exports of agricultural, manufactured goods to Cuba could increase if U.S. trade restrictions were lifted, but significant Cuban barriers to foreign trade and investment would remain." This rings true when we consider the minimal progress that has been made during the 16 months since the start of US-Cuba rapprochement and the recent Communist party congress.